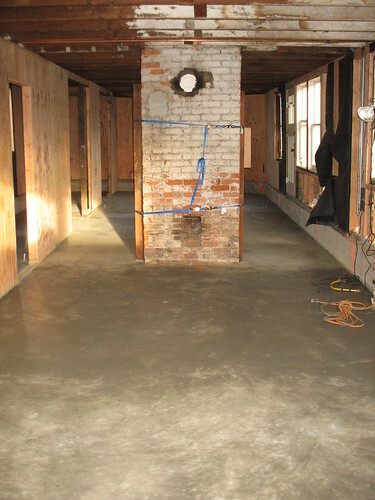 House Adventures: Concrete! Lots of Concrete! Concrete! Lots of Concrete!, originally uploaded by berkeleygal77. Yesterday, they poured the big concrete slab downstairs. I never thought I'd say this, but concrete is almost beautiful! Next week, they'll start putting in the short "transverse"/cross walls once the concrete has cured a bit.